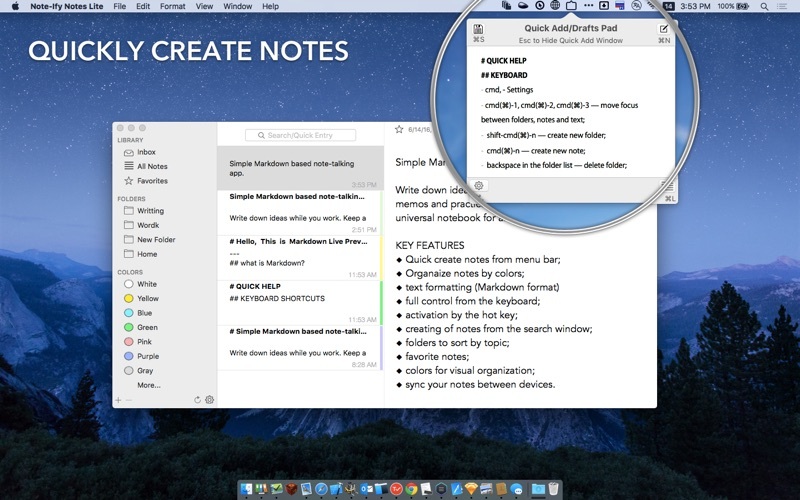 Note-Ify Notes - Simple Markdown based note-talking app. Write down ideas while you work. Keep a diary. 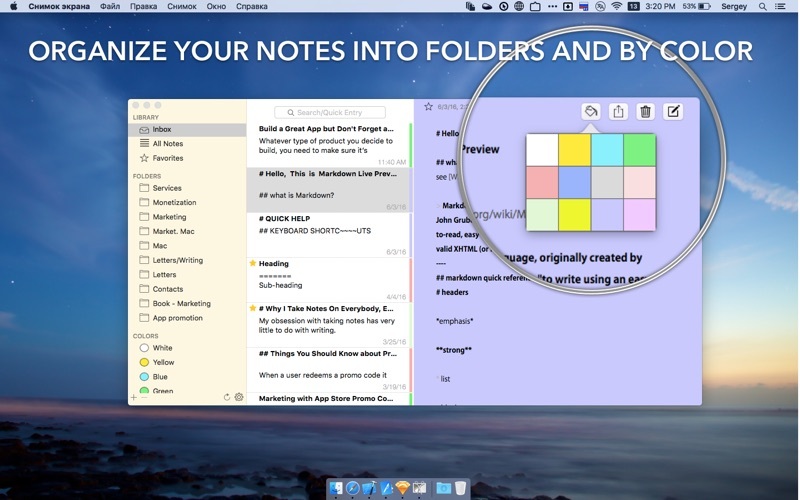 Write memos and practice "freewriting". 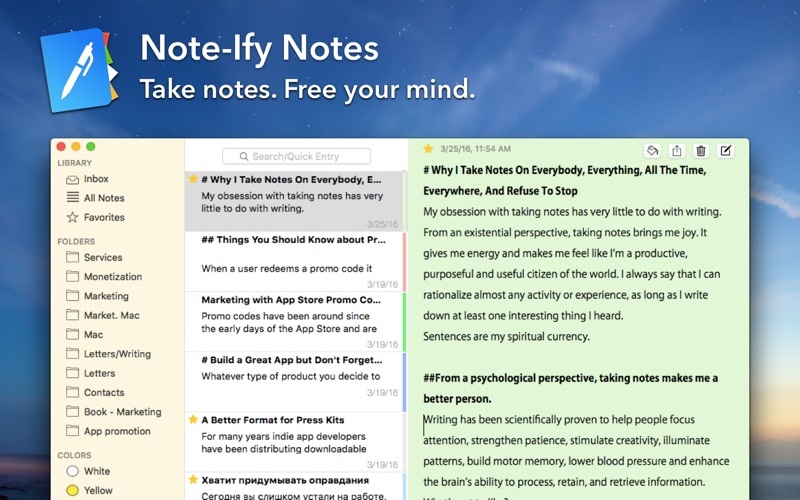 Note-ify — universal notebook for all of your thoughts. 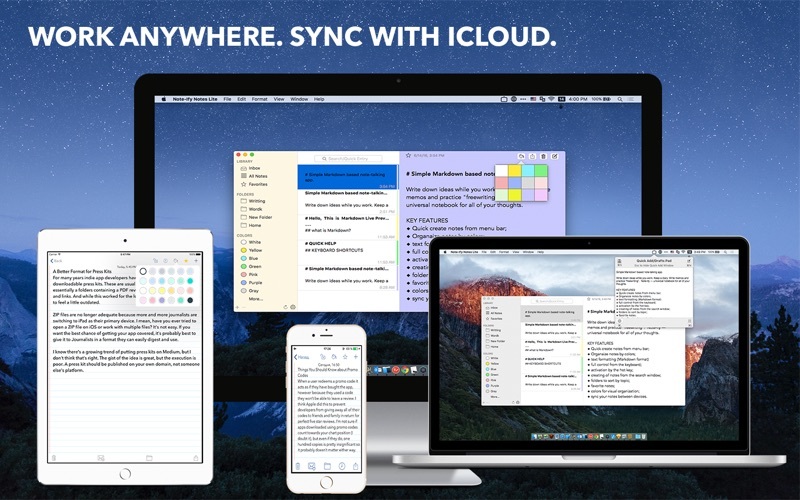 ◆ Sync your notes between devices. 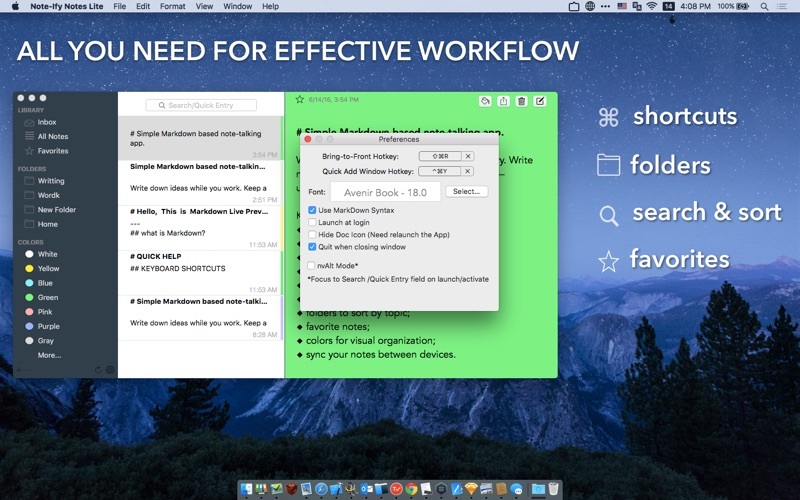 ◆ cmd-escape — move to the note list.